The Smarter Spotter is particularly popular as a kids tumbling trainer. 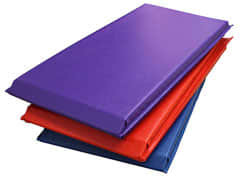 It's the perfect gymnastics or cheer handspring trainer for studios or for safe teaching at home. 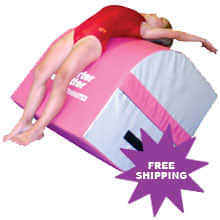 Ideal for practicing controlled training of front and back handsprings as well as front and back walkovers. 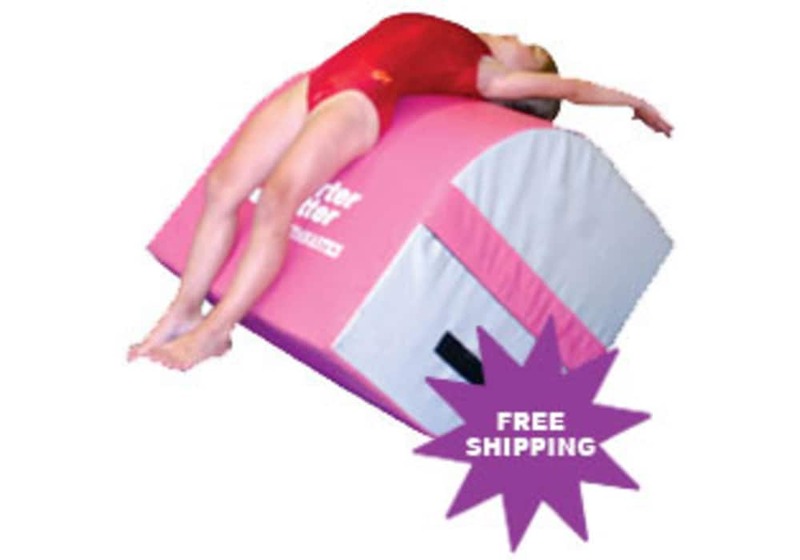 This is a multi-functional piece of gymnastics equipment. 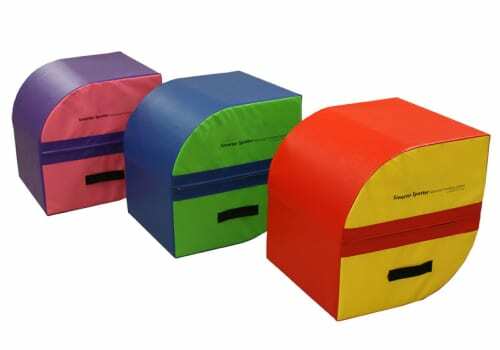 Ideal for students ranging from 38" to 48" tall. Teaches proper technique for front and back handsprings and front and back walkovers. Size: 26"h x 26"d x 24"w.